Help with Verizon FiOS or high-speed Internet. Is there a better alternative to VerizonInHomeAgent? Is VerizonInHomeAgent really the best app in Internet Utilities category? 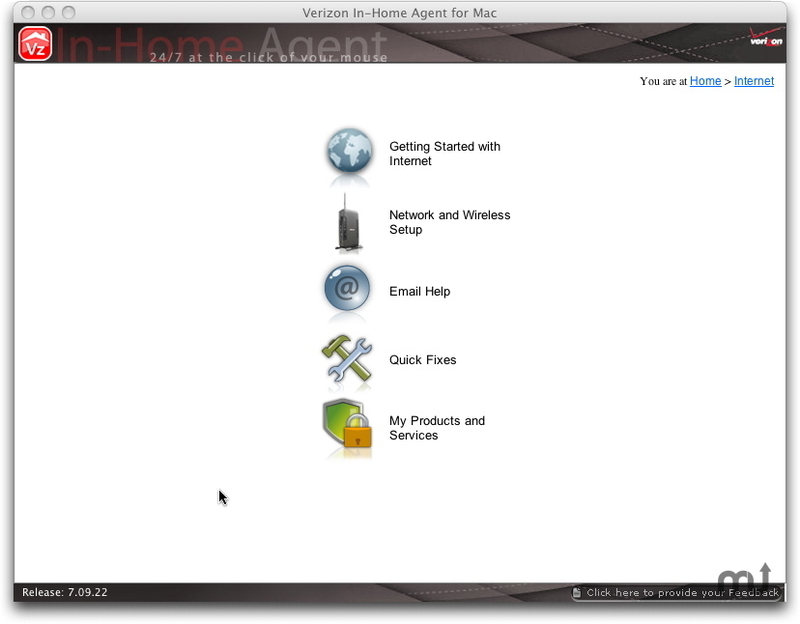 Will VerizonInHomeAgent work good on macOS 10.13.4? VerizonInHomeAgent is an application that provides you with fast, easy solutions for common FiOS & High Speed Internet questions. It's 24/7 support at the click of your mouse! In-Home Agent, best used on your Home computer, provides step by step guided help to manage your FiOS or High Speed Internet service. VerizonInHomeAgent needs a rating. Be the first to rate this app and get the discussion started!